Aeracuras' thyme essential oil from Morocco has high borneol content. Species: Thymus satureioides Boiss. et Ruet. Family: Lamiaceae. 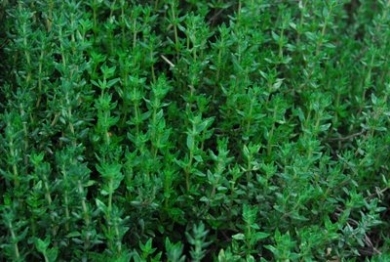 Thyme is a powerful antiseptic and antifugal that has been used for thousands of years. Common antiseptic and antifungal uses of thyme oil today are extensive. And, of course, it is used in cooking. Article: Health Benefits of Thyme Essential Oil.